Navigate to project directory, right click and select "Generate solution"
3) Fix the indentation(at this time the script uses spaces), the forum butchered the code, even when I used the code tag. Looks like we missed this one when setting the configurations. I'll add VS2015 Express edition to the available configurations. 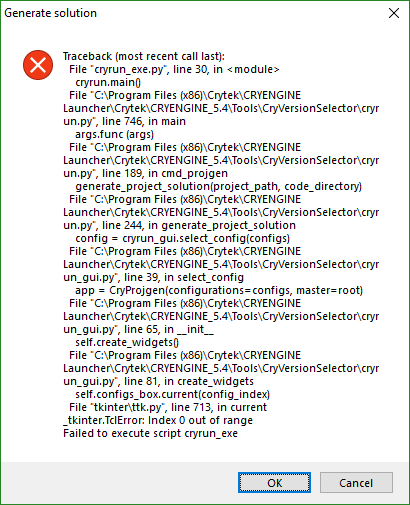 In CRYENGINE 5.5 this issue has been fixed by showing all the available configurations if none could be found, so if you're using the preview builds you should not have any trouble with this issue anymore.